Undercover Mouse moves silently; randomly speeding, slowing and reversing direction under its durable nylon cover. The hidden mouse skitters furtively just out of your cat view. In fact, its movements are so real you and your cat will swear there a live mouse in the house! Undercover Mouse stealthy movements serve to peak your cat’s hunter/predator instinct to secure the catch. And no worries once the catch is made our new gearless friction drive means added reliability. Made of durable plastic, Undercover Mouse allows for easy speed adjustment and will provide hours of interactive fun ! ?Durable rip stop nylon (23″ diam) made. ?Work great on carpets and floors. 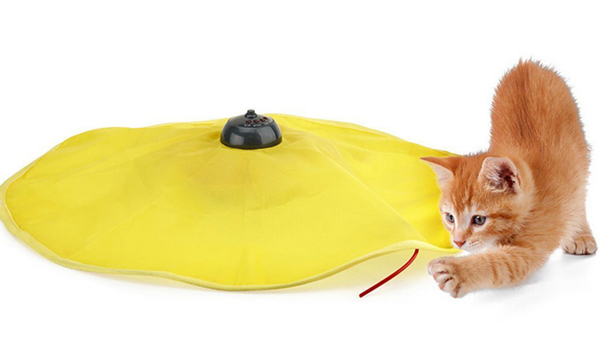 ?Peek-a-boo mimics a scurrying mouse to attract your pet�s attention. ?Help to stop your cat clawing and scratching your furniture. ?There are four model of speed: slow,middle,fast,random. ?Changes speeds randomly to keep your cats�s entertained. 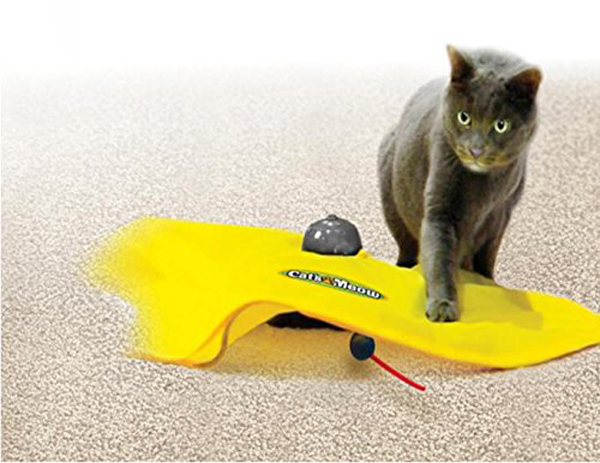 ?A excellent exercise toy for your pet cat. 2. Insert 3 C batteries ( not included) into the battery case as shown, then re-attached battery covery. 3. Insert WAND”DD” into BASE”BB” as shown. 4. Place COVER “CC” over BASE “BB” as shown. 5. Place CAP “EE” onto BASE “BB” as shown. 6. Turn CAP “EE” clockwise until it locks. 7. Just attach mouse wand, accach cover, press button for hours of exercise and fun!